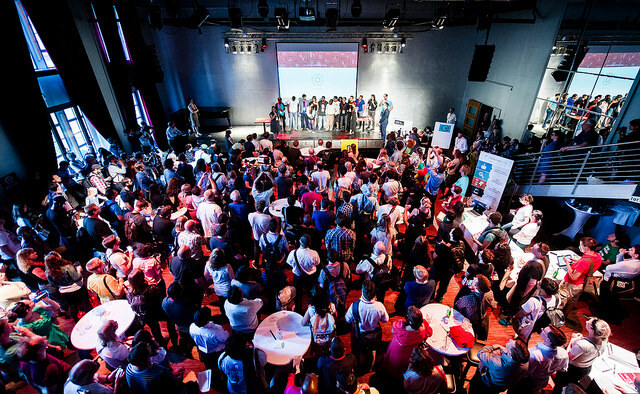 Thank you for joining us in Berlin and helping to shape OKFestival and the future of the open knowledge movement! We hope that the event provided you with the opportunity to learn, to share and to connect with open knowledge advocates from around the world. While we were excited and inspired by the collaborations and activities we saw springing up over the course of the week, we know that we can always do better and we want to hear from you about what we did well and what you would change. Furthermore, we’d like to encourage all the festival participants to keep sharing – ideas, blogposts, photos, videos, anything which can make the work done last week together resonate with everyone who was there but also everyone who couldn’t join us in person but can still fuel the upcoming projects online! So, in the spirit of Open Minds to Open Action – let’s call for action! ii) Content from the festival Next, we’d like to remind you of all the great content created at – and around – the Festival, and to encourage you to check it out and contribute to it. Every session had an etherpad, which is an online tool for note-taking. You can find them listed on the Sched page for the corresponding session or you may want to browse the “pad of pads” where they’re all listed. We saw lots of great photos being tweeted from the event and would love to collect as many as possible in the festival Flickr pool so that everyone can find them. So whether you snapped people enjoying ice cream or artists creating graffiti, please do add your images to the group here. Again, we’ve seen lots of tweets sharing blog posts about the festival – if you’ve written one or seen one you liked, please add it to this document so we can gather them all in one place and put the links up as a record on the festival website. Finally, if you’d like to relive some of the festival, you might want to check out our short video celebrating the event. Enjoy! Thanks once again for your energy, contributions and enthusiasm in making Open Knowledge Festival 2014 our best event yet. This entry was posted in Community, News and Info and tagged #contribute, #get involved, #theory of change, open knowledge, open movement. Bookmark the permalink.